one morning, i went to tokyo taking the JR train from ushiku. i kinda refused to bring any language tool with me meaning no japanese-english dictionary and no conversational help book. if i got lost then i needed to try to survive myself. boy, have i got what i wished for!? yes. i got lost badly. first of all, i bought a wrong train ticket for a wrong train at the wrong time. luckily, it was the right direction -- tokyo. 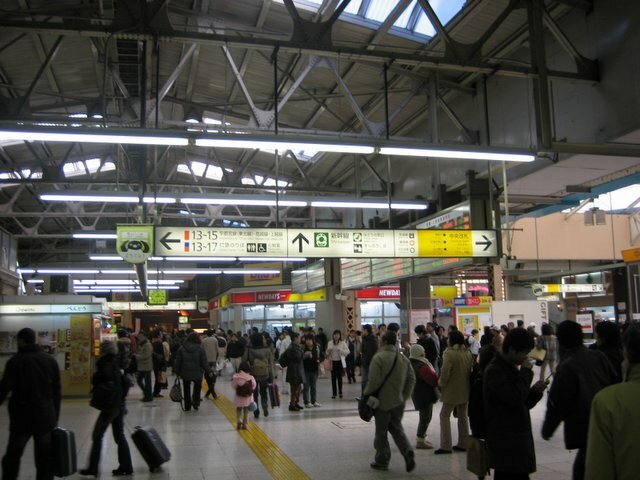 japan has a very extensive and one of the most modern train system in the world and its people rely solely on that transportation system. with a little japanese and a limited comprehension of the language, i bought a regular JR train ticket to tokyo which i stepped on the wrong track. instead to a regular track, i went to the hitachi express line -- a slower version of the well known shinkansen. well of course, when the condector checked my ticket, he was kinda surprised. what in the world is this guy doing here in hitachi express? and, he said something to me which i replied -- excuse me? i'm sorry -- it turned out that he was telling me that i was in a wrong train and i needed to pay the difference from the regular ticket. oh well, it wasn't cheap. 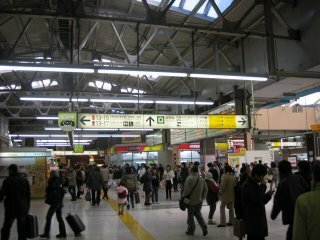 when i got into ueno station, it was full of people and i was kinda lost in the middle and walked to where people walking. wrong! i should have stopped and studied the sign. my destination was ikebukuro where from ueno was just five stations away to the northeast -- about 20 minutes max. instead, i took a yamanote line to the south circling the megapolitan tokyo at the fullest curve and took me about one hour twenty minutes to reach where i should have been sixty minutes before. well, it was a blessing in disguise, it turned out. i took lots of human interest pictures during the ride around tokyo. saw many people young and old, pretty office ladies, salary men with long coats, jackets and ties. it was a nice train ride after all.